"Arguably the best Harley-Davidson clone to date"
As Japanese customs go, Honda’s Fury is arguably the best Harley-Davidson clone to date. Its looks are radical for a Japanese custom, majoring more on a raked-out chopper design than a straightforward custom or cruiser, and Honda America’s design team should be applauded for this. Now add an engine that is typical Honda – perfect fuelling, gearbox and gutsy, complete with fuss-free shaft drive – and Honda has a recipe for success. Or has it? Unfortunately the Fury also comes with the usual Japanese smattering of cheapness in the shape of chromed plastic everywhere. From rocker cover tops to drive cases, all plastic. It’s the detailing that knocks points off the Fury’s score. It’s hard to believe a bike with a 1805mm wheelbase, 21in front wheel and a kerb weight figure to keep the Goodyear airship anchored could be anything but stable, but that is the Fury. With its plush suspension the Fury soaks up the biggest lumps and bumps, but also takes away any feedback from either tyre. Not that big lean angle is possible due to insufficient ground clearance. Feet forward ride position isn’t as painful as it looks, in fact it’s quite pleasant because the seat is padded and supportive and the high bars and headlight keep a fair amount of windblast off the rider. Water-cooled but you’d be hard pushed to notice at first – the radiator lives between the front, lower frame rails. 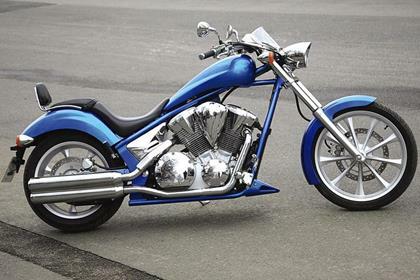 For a large capacity (1312cc) 52° V-twin it is exceptionally smooth through its short rev range even with its claimed torque of 89ftlb whirling its way through the shaft drive. Coupled with perfect electronics and fuelling, this includes a light action throttle) and you have a 303kg bike with a long wheelbase that is actually manageable and a doddle to ride. Reliability is never going to be an issue on the Honda – every mechanical is tried and tested from being used on other models, or derivative of. Quality is arguable in the sense the paint and coatings are fine, but it’s the amount of cheap chromed plastic and lack of polished metals that cheapen it ie painted wheels and sidestand. And why only a piddly 12.8lt fuel tank? 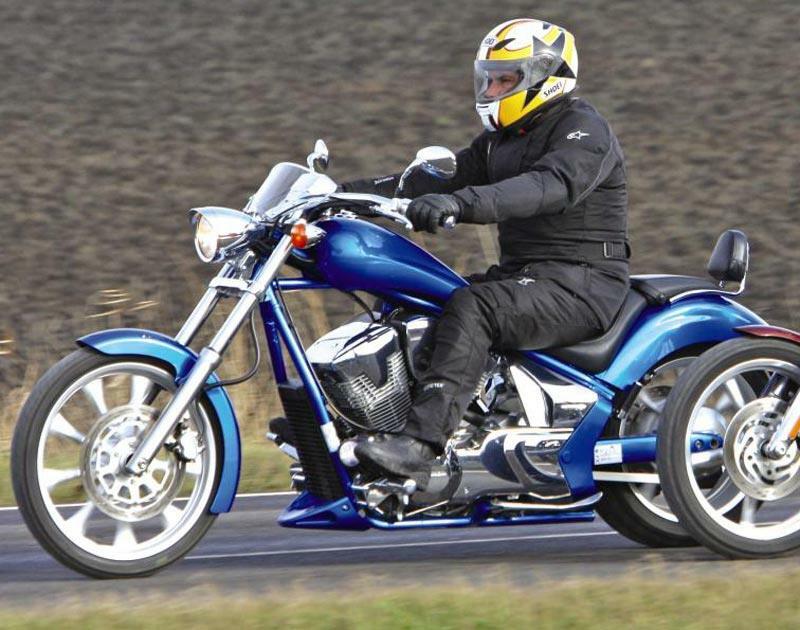 At £12,071 the Fury is pitched well under the list price of top flight Harley customs, and makes for value for money. However, it isn’t a Harley and you have to question the £12k price for a Japanese replica. If Honda could guarantee a long model life with all the back up of owners groups, lifestyle and full accessory brochure then second-hand prices will remain high rather than drop like every other Japanese machine. Find a Honda Fury for sale. Nothing fancy here. Unless you count the deep blue paint, fancy fat-bars or shaft drive unit. The bike doesn’t even come with the bellypan (£395, ouch!) cowling, fly screen (£275, double ouch!) 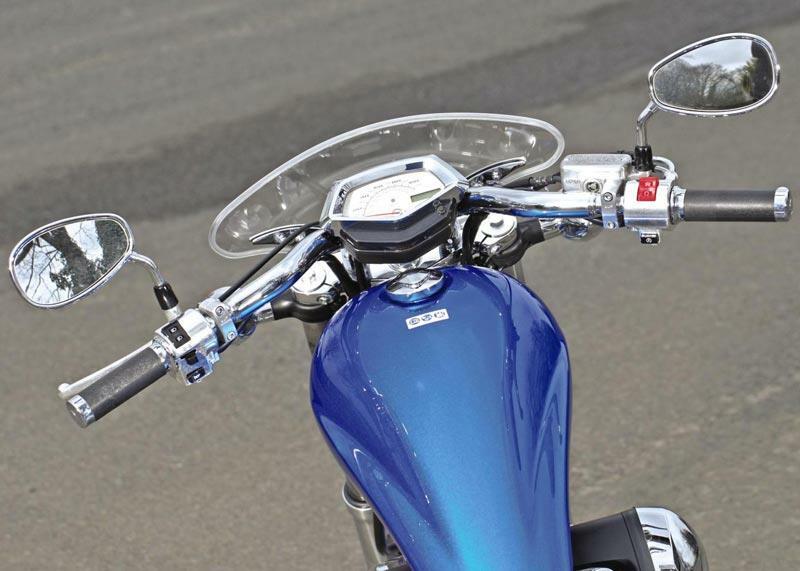 or pillion back support – all optional extras. Shaft drive is good. 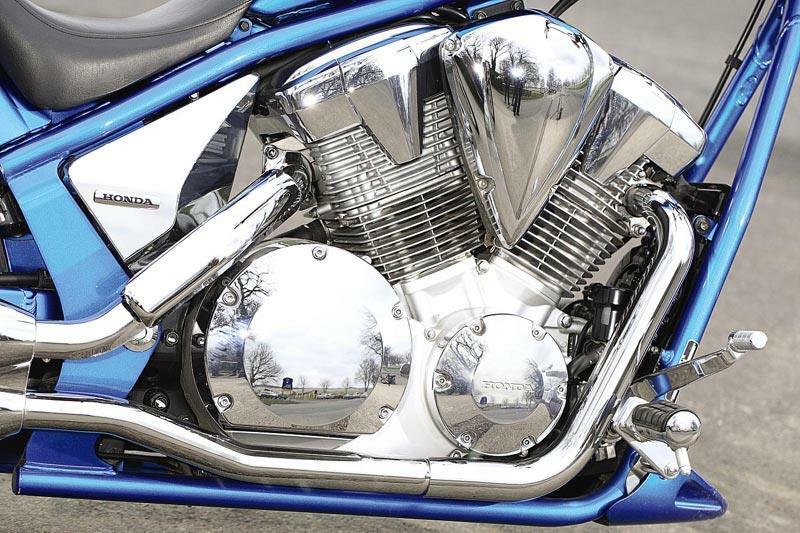 Erm, the chromed parts are shiny… Compare and buy parts for the Fury in the MCN Shop. 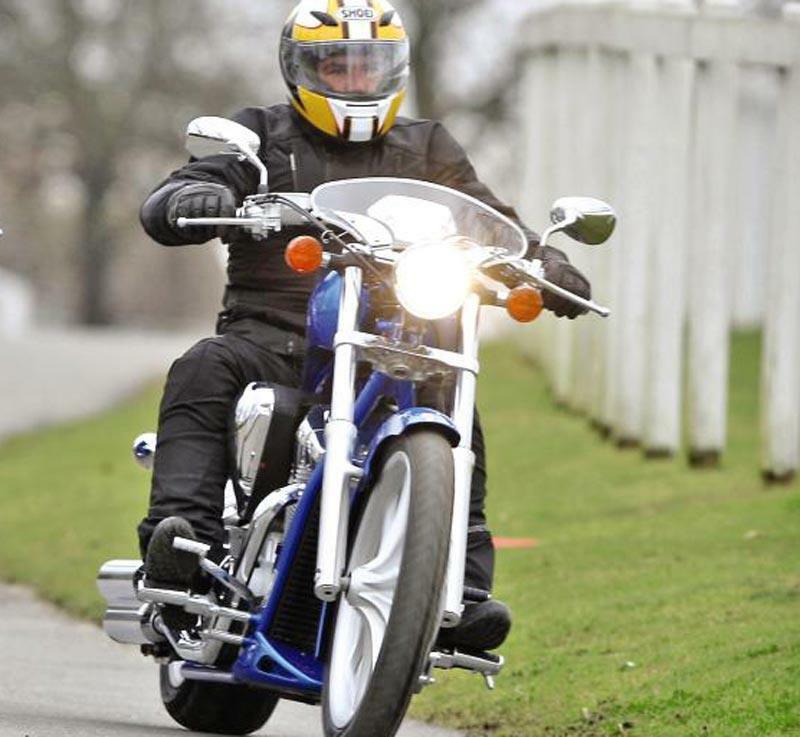 2 owners have reviewed their HONDA VT1300CX FURY (2010-2013) and rated it in a number of areas. Read what they have to say and what they like and dislike about the bike below. First and foremost this is not a harley clone as harley don't make a chopper,they make lowriders and easyriders but no chopper. On the day i road tested the Fury i also tested a harley and there was no contest. The Honda won hands down. After fifteen minutes on the harley and having to stop several times to replace the fillings which had shaken violently from my teeth, i've got to tell you it wasn't for me. The Honda on the other hand was a dream from the moment it started. Instant reliable power coupled with fantastic handling and a throaty rumble to die for. I couldn't find a single thing that i didn't like about it. As far as some plastic chrome i can live with that as its easy to polish and look after and lets face it, its lighter which is better for bike performance. I am extremely busy running a business and have a family and don't have the time for machines which are a labour of love and cost a fortune in repairs. I love motorcycling and with japanese reliability i know i'll be spending more time on the road and less time in the workshop. The Fury is a joy to own.